SpaceX workers crawl the lower section of the Test Hopper out to a launch pad near Boca Chica Beach, Texas, on March 8, 2019. SpaceX has built a stainless-steel rocket ship at its launch site near Boca Chica Beach, located at the southern tip of Texas. "Test Hopper" is the first yet partly-functional prototype of Starship: a launch system that SpaceX founder Elon Musk hopes to use to send people to Mars. A sheriff hand-delivered road closure notices to residents on Friday, according to a local resident. The document warned locals that SpaceX will "conduct testing" as soon as Monday, March 18. SpaceX previously said its Test Hopper "will be tethered during initial testing" and that any of its "hops" - short vertical take-offs and landings - won't be visible "from offsite." Musk later confirmed on Twitter that SpaceX hopes to attempt its first "very short" Test Hopper flights this week. One resident reported not receiving the notice. The person also claims that SpaceX promised a schedule for launch activities but has yet to provide one. This story has been updated with new information. SpaceX, the aerospace company founded by Elon Musk and headed by Gwynne Shotwell, is about to test-launch its first prototype of rocket ship designed to send people to Mars, according to a document reviewed by Business Insider. The company may begin firing up its "Test Hopper" prototype as soon as Monday, according to a notice stuffed into the mailboxes of some residents near Boca Chica Beach, which is at the southernmost tip of Texas. SpaceX started building out its launch site in Boca Chica in 2014 for the Falcon 9 and Falcon Heavy rockets. However, Musk said in early 2018 that Boca Chica "will be dedicated to" the new Mars vehicle, called Starship. On March 8, SpaceX crawled the lower section of its mirror-polished Test Hopper out to a launch pad at Boca Chica. Shortly afterward, engineers attached a single truck-sized Raptor rocket engine - the newest and most powerful such machine SpaceX has ever developed - to the base of the vehicle. Test Hopper can't launch into space, but it will trial crucial hardware and ideas that SpaceX needs to create a full-scale Starship (formerly called Big Falcon Rocket). 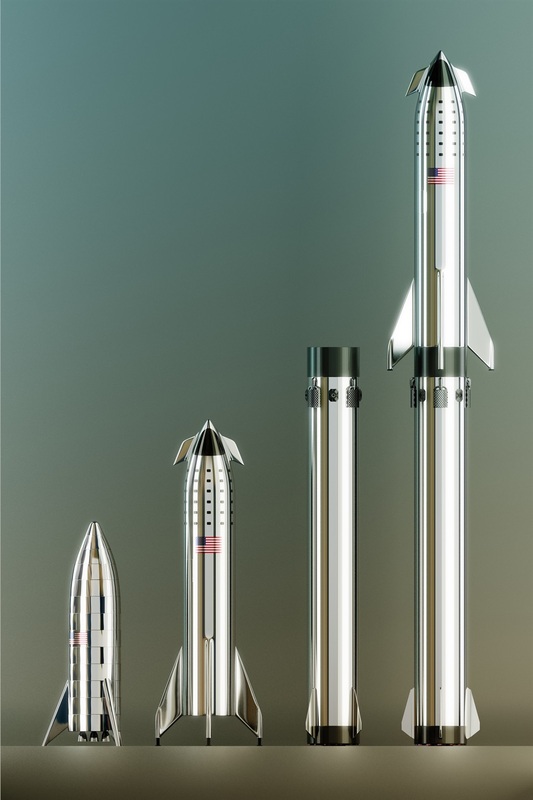 Left to right: An illustration of SpaceX's "test hopper," Starship spaceship, its booster, a Falcon 9 rocket and integrated Starship launch system. Starship is designed to have two fully reusable parts - a Starship spaceship and "Super Heavy" booster - stand roughly 400 feet tall, and use a "bleeding" atmospheric reentry system. If Musk's "aspirational" dreams for the system come true, Starship may reach orbit in 2020, send its first crew around the moon in 2023, and launch the first people toward Mars in 2024. Ultimately, it might ferry up to 100 people and 150 tons of cargo at a time to the red planet. But first, SpaceX needs to prove the basic concepts behind Starship work with its Test Hopper. 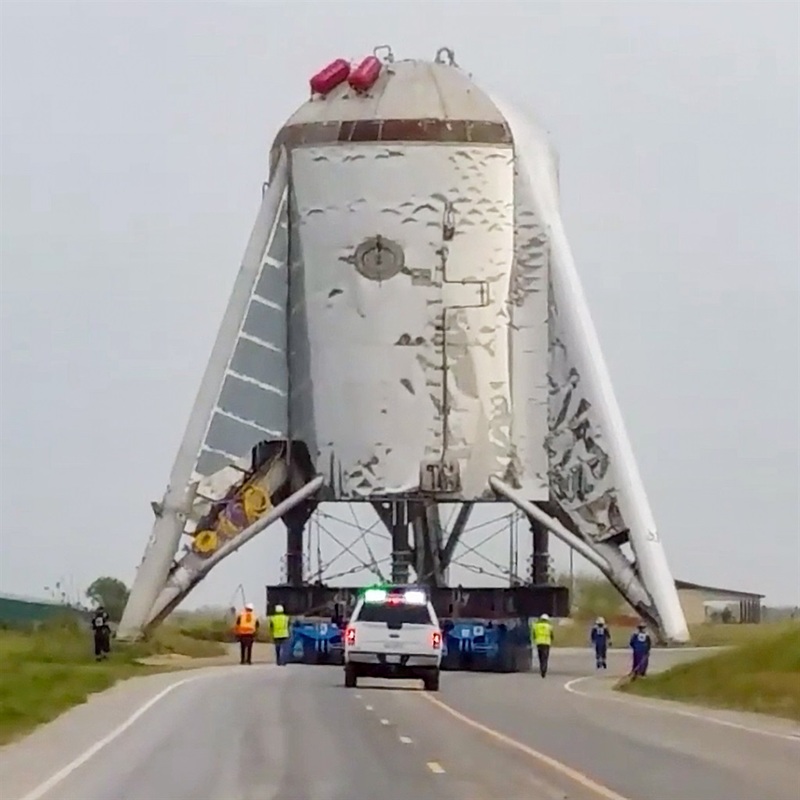 Comments from a company representative, as well as the notice reportedly handed to some Boca Chica residents, suggest that SpaceX will attempt Test Hopper's first integrated rocket-engine firing as soon as Monday, followed by tethered "hop" test launches shortly thereafter. Following the publication of this story, Musk confirmed that SpaceX hopes to try hopping this week. "Always many issues integrating engine & stage," Musk tweeted, with stage referring to the prototype's chasis. "First hops will lift off, but only barely." 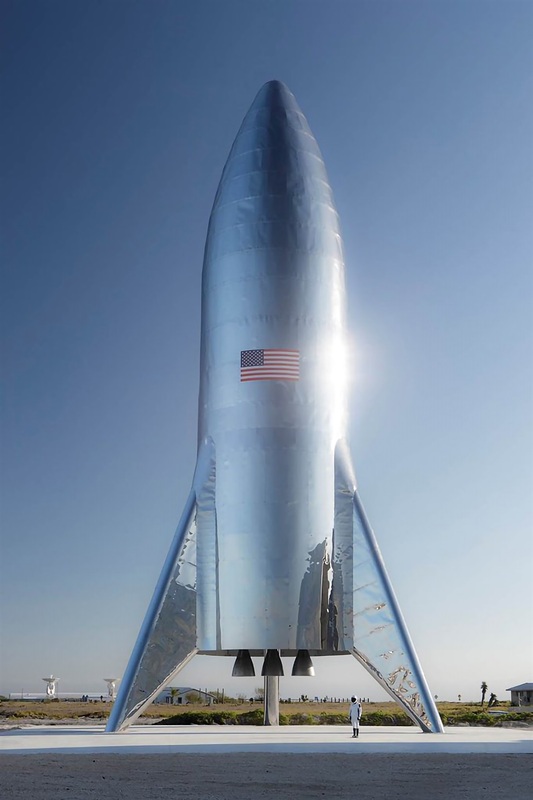 Test Hopper — a prototype of SpaceX's Starship system — stands with its nosecone assembled at the company's launch site in Boca Chica, Texas. Test Hopper can't fly into orbit around Earth. It's a relatively crude and squat machine, with its lower section standing roughly 60 feet tall. 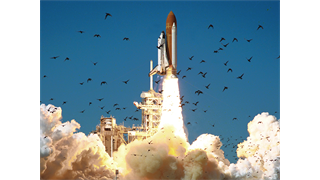 The rocket ship is designed to fly on short flights of no more than about 16,400 feet in the air, according to a Federal Communications Commission application. Musk also tweeted on Sunday that the first hop attempts would be "really short," given a sole Raptor engine, but noted the rocket ship could do "suborbital flights with three." In January, Musk said his company would build a taller, orbit-capable version "around June" and that the rocket ship would have "thicker skins (won't wrinkle) & a smoothly curving nose section." That timeline is now uncertain, however, since gale-force Texas winds blew over and damaged the Test Hopper's nosecone in February. SpaceX's Test Hopper in January 2019, prior to the toppling of and damage to its nosecone. Musk said the day of the incident that it'd take weeks to repair the nosecone. On Sunday, however, Musk suggested that work has been abandoned - and that SpaceX is currently building the first "full size" Starship prototype on its properties in Boca Chica, he said. "We decided to skip building a new nosecone for Hopper. Don't need it," Musk tweeted. "What you see being built is the orbital Starship vehicle." With the nosecone in the scrap pile, SpaceX is now moving forward with its earliest test firings of Test Hopper at a beachside launch pad. "SpaceX will conduct checkouts of the newly installed ground systems and perform a short static fire test in the days ahead," a SpaceX representative told Business Insider in an email last week. A "static fire" ignites a rocket engine to ensure it works, but the vehicle that it's on - in this case the Test Hopper - is held down to not lift off the ground. Such tests help engineers find and troubleshoot any issues before attempting a launch in earnest. "Although the prototype is designed to perform sub-orbital flights, or hops, powered by the SpaceX Raptor engine, the vehicle will be tethered during initial testing and hops will not be visible from offsite," the company representative added. "SpaceX will establish a safety zone perimeter in coordination with local enforcement and signage will be in place to alert the community prior to the testing." Before the weekend, a local sheriff delivered pieces of paper notifying residents about the tests, according to a person familiar with the situation. "NOTICE TO BOCA CHICA VILLAGE RESIDENTS"
"SpaceX is planning to conduct testing as soon as the week of March 18, 2019 at the company's site located near Boca Chica Beach, Cameron County, Texas. During those tests, SpaceX will establish a safety zone perimeter in coordination with local law enforcement. Signage will be in place prior to testing to alert the community of any temporary closures of Highway 4 and Boca Chica Beach. "Boca Chica Village residents will have access to their homes during testing." "[T]wo temporary checkpoints will be established on Highway 4. Individuals who provide proof of residence between the two checkpoints will be allowed to proceed through the soft checkpoint. 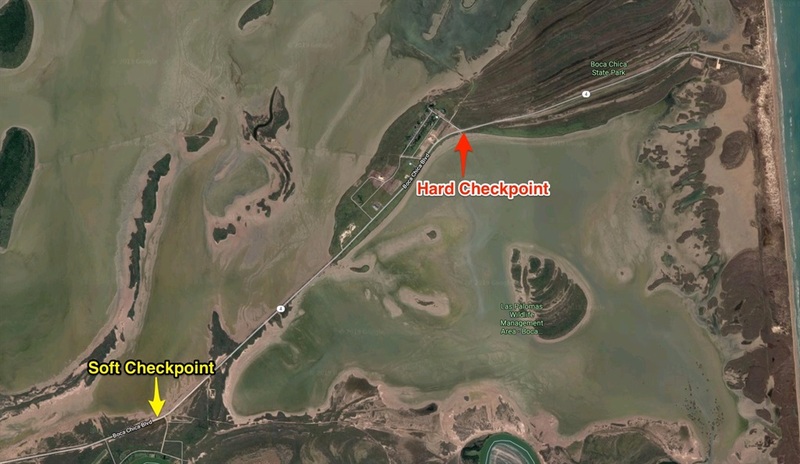 Access beyond the hard checkpoint will not be permitted during temporary closures." A map showing Cameron County's planned road closures in Boca Chica, Texas, beginning the week of March 18, 2019. The paper notice was not signed by anyone, listed no contact information, and did not name a government agency or party responsible for its issuance, according to one homeowner. "Who is notifying us of our rights, or lack thereof?" the homeowner, who asked to remain anonymous, told Business Insider in an email. A call placed to the Cameron County Sheriff's office over the weekend was answered by a 911 operator. The operator declined to record a message and said that no one at the sheriff's office could provide information about the notice until Monday. The first firing of SpaceX's full-scale Raptor rocket engine, which is designed to help send passengers around the moon. The hard checkpoint is located about 1.5 miles west of SpaceX's launch pad, as are the easternmost homes in Boca Chica Village. By comparison, Kennedy Space Center in Florida permits visitors to witness launch activity no closer than 3 miles away from its famous launch complex, called LC-39A. Another member of the Boca Chica Village community, who also asked not to be named, told Business Insider that the sheriff never delivered a notice to their home. The resident also said that a SpaceX representative previously committed to providing schedules for launches but has yet to do so. "We deserve that courtesy" from SpaceX, the resident said, given the launch site's close proximity to homes. Cameron County's judge, Eddie Treviño, also appeared unaware of the nature or timing of SpaceX's future testing plans when he approved road closures of Highway 4 (the only road to and from Boca Chica Beach, SpaceX, and the village). "It's exciting and we know that we keep moving closer and closer to that first test, or whatever they're going to be doing," Treviño said on Thursday, according to The Brownsville Herald. "We're wishing them all the best of luck and we're excited." 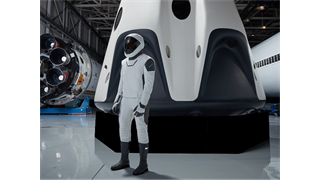 SpaceX did not immediately answer questions from Business Insider pertaining to the safety perimeter's size and potential risks posed to residents by Test Hopper static fires and hops. The company did submit required environmental impact statements in May 2014, which detail launch risks and safety precautions. But those documents apply to Falcon 9 and Falcon Heavy rocket launches; they do not describe a test program akin to Test Hopper, nor launches of extremely large Mars-capable vehicles. But for his part, Musk has at least teased the possibility for years. "It could very well be that the first person that departs for another planet will depart from this location," he said during a groundbreaking ceremony in September 2014. 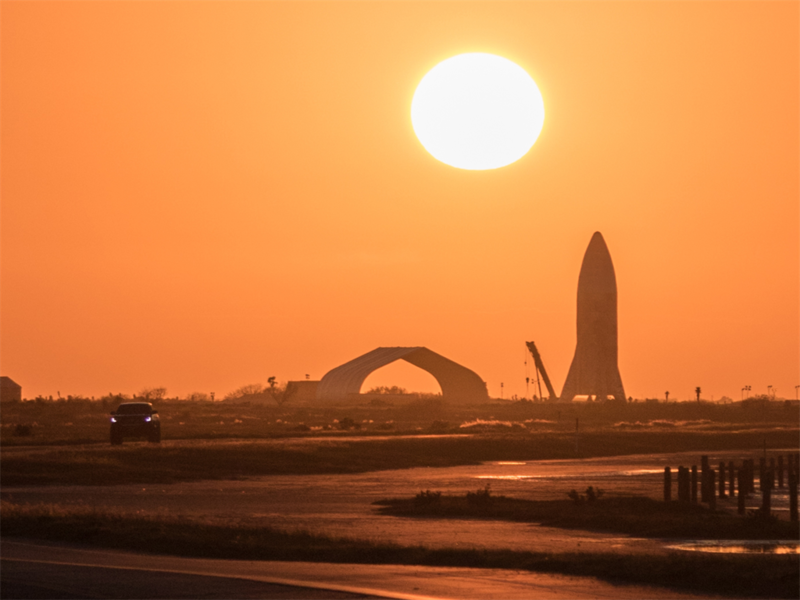 On Sunday, Musk suggested that possibility is moving a step closer to reality, though he also revealed that Boca Chica won't be the only site that SpaceX hopes to center its interplanetary Starship operations. "Working on regulatory approval for both Boca Chica, Texas, and Cape Kennedy, Florida," Musk tweeted. "Will also be building Starship & Super Heavy simultaneously in both locations." The biggest real estate development in US history, with a R2.9 billion climbable statue, just opened. Here's what it is like. 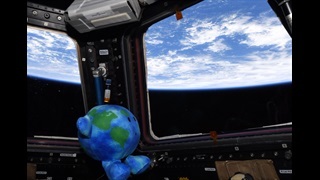 Astronauts on the space station liked SpaceX's 'Earthy' toy so much that they kidnapped it. Their photos show how it's become a rookie crew member.